Aidao is an artist and works as a composer, painter and photographer. 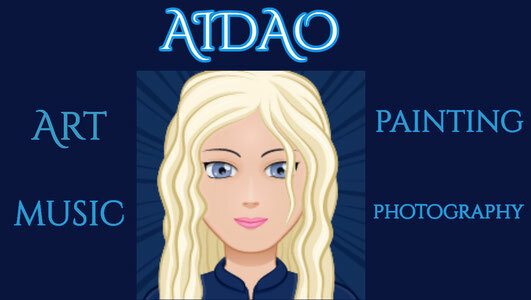 Aidao's music, photos and painted pictures are available on the Internet on different websites. Music by Aidao is royalty free music and especially composed for commercial use, for films, commercials, videos, websites, games, etc. - but also for private listening. More information about Aidao's music on the Music page and on Music Shops. Aidao's photos and painted pictures can be seen and bought at different Art Galleries and as printed version on clothing, mugs and different accessories on different Art Shops. If you want to get in touch with Aidao, you can send your message through the contact form. 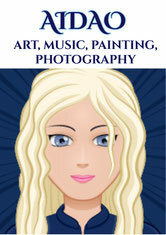 Have fun and enjoy the art and music!